What is President Obama's greatest challenge at tomorrow night's debate? 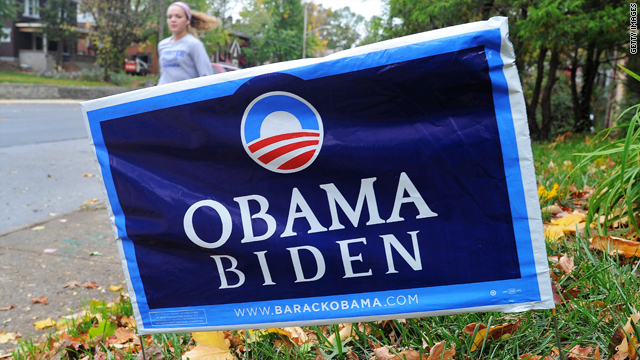 Tomorrow night's presidential debate is a make-or-break moment for President Barack Obama. After that dismal showing in the first debate against Mitt Romney, the president better bring his A game if he wants a second term. Writing in The Daily Beast, Obama supporter Andrew Sullivan says that the president's "main challenge for re-election in the final stretch is Obama himself." Sullivan suggests that Obama threw away the momentum after the first debate, calling the president's performance "so lazy, so feckless and so vain it was almost a dare not to vote for him." Ouch. Remember this is a supporter talking. But he's onto something: Romney has seen gains in both national polls and battleground states since the first debate. He now leads the president 48% to 47% in CNN's poll of polls. Perhaps even more telling: After months of voters finding Obama more likable than Romney, a new poll of likely voters shows the two men virtually tied on likability. According to Sullivan, it will take a lot of "intelligence, fire and argument" for Obama to turn this thing around, and it won't be enough for Obama to just break even with Romney in the two remaining debates. That brings us back to tomorrow's night debate, which will be moderated by CNN’s Candy Crowley. While the president insists his debate preparations are "going great," the town-hall format may make it even tougher for him to win. No doubt the president will have to come out strong against Romney, but he also needs to show he can connect with the voters in the hall and those watching at home. It's a tricky balancing act, and above all else, Obama will have to avoid those long and boring professorial answers. Here’s my question to you: What is President Obama's greatest challenge at tomorrow night's debate?